On April 10, 2015, French aerospace giant Dassault Aviation announced the purchase of 36 Rafale multirole fighters by the Indian government. The press release coincided with the arrival of Indian Prime Minister Narendra Modi in France to meet with his counterpart President Francois Hollande. 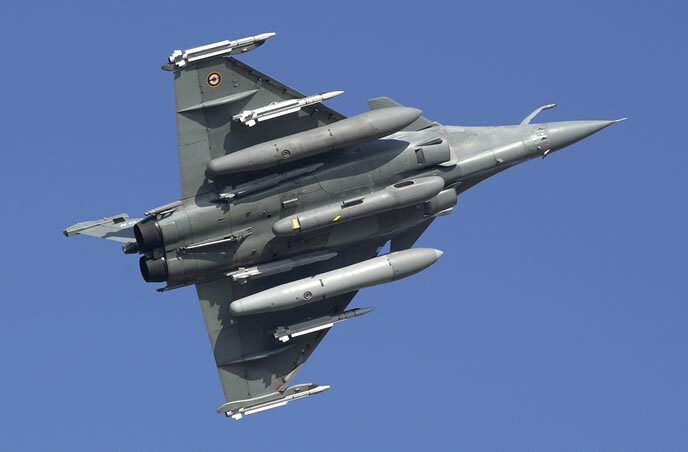 The purchase of 36 Rafales, the most advanced third-generation fighter aircraft manufactured in France, effectively killed the Indian Air Force’s (IAF) Medium Multi Role Combat Aircraft (MMRCA) program. Since 2007, the Indian Air Force had one of the largest tenders for any arms transaction in the world. To replace its hundred-odd MiG-21’s, bids from US, European, and Russian contractors were reviewed. By mid-2011 the remaining contenders were the EADS Eurofighter Typhoon and the Dassault Rafale. In February, 2012, the Rafale triumphed for its price point and the IAF’s familiarity with the Mirage 2000, a legacy system in its air fleet. But three years later and the IAF never followed through with its Rafale acquisition. In hindsight, it appears misunderstandings between Dassault and India’s Ministry of Defense doomed MMRCA. Like most big ticket arms purchases, the Indian government had strict conditions for the MMRCA. 126 fighters would be delivered to the IAF, with a hundred assembled in India by state-owned aerospace conglomerate Hindustan Aeronautics Limited (HAL). This agreement’s cost was believed to be $10 billion dollars. Other sources priced the MMRCA deal at $12 billion, perhaps as high as $20 billion. Still another source claimed the Rafale deal reached $24 billion. Like their Russian counterparts who have to service large contracts for the Indian military, Dassault’s management seemed uneasy with the deal and its requirement for technology transfer. This clause meant 50% of every IAF Rafale needed to be manufactured indigenously. The total cost for individual Rafales, including long-term maintenance, was problematic too. Over a 30 to 40 year time span, the Rafale is no cheaper than its Western European peers. This caused the MMRCA program to falter until India’s new government took power in 2014. 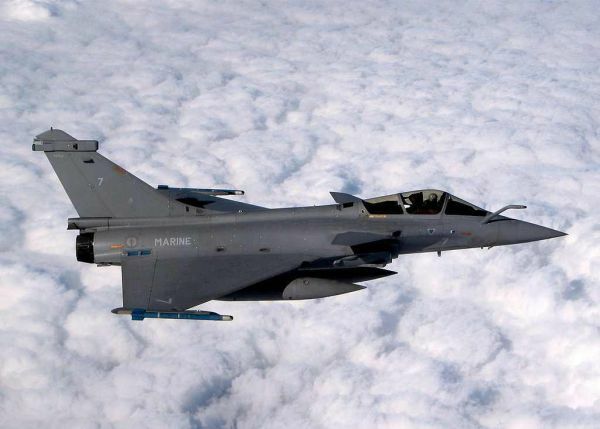 By December that year, a meeting between the defense ministers of India and France salvaged the MMRCA program by replacing it with another deal: The Indian government pays for a limited number of Rafales directly from France. How much 36 Rafales cost hasn’t been published although it reaches an estimated $100 to $200 million per plane. Two months later, Dassault announced a separate deal with the Egyptian government for 24 Rafales. Come April, the breakthrough with India happened. Aside from the 36 Rafales it must now deliver to the IAF, Dassault is also reaping a windfall from another deal with the Indian government. Between 2011 and 2020, Dassault will upgrade each of the IAF’s 51 Mirage 2000’s with a new cockpit windshield, avionics, radar and navigation systems, including 450 MICA air-to-air missiles. The Mirage 2000 I upgrade is worth $2.4 billion. Only two Mirage 2000 I’s have been returned to the IAF so far, with additional deliveries forthcoming.